4.4 Ensure students’ wellbeing and safety within school by implementing school and/ or system, curriculum and legislative requirements. 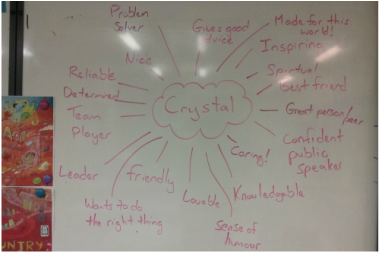 This year I have been team teaching in two senior school classes, and among other roles, I have been responsible for delivering all content to these students on social emotional learning. In my opinion, social emotional learning is one of the most important components of our curriculum, particularly within our education support context. 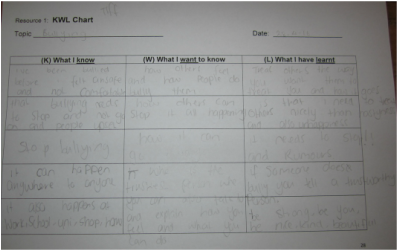 We have covered a range of content across the four terms; in term one and four we explored content from the Promoting Alternative THinking Strategies program (PATHS), including material on establishing a positive classroom and emotional understanding. 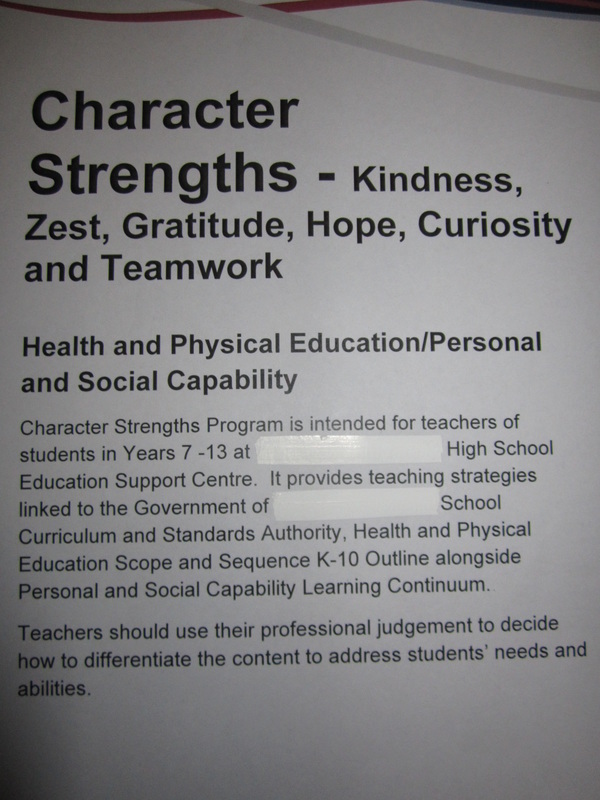 In term two I implemented a program developed by our school on bullying, and in term three we learnt about our schools six key character strengths (teamwork, gratitude, curiosity, kindness, zest and hope), again through a program that had been developed by our school. These programs were formed with full consideration of other professional packages of this nature. 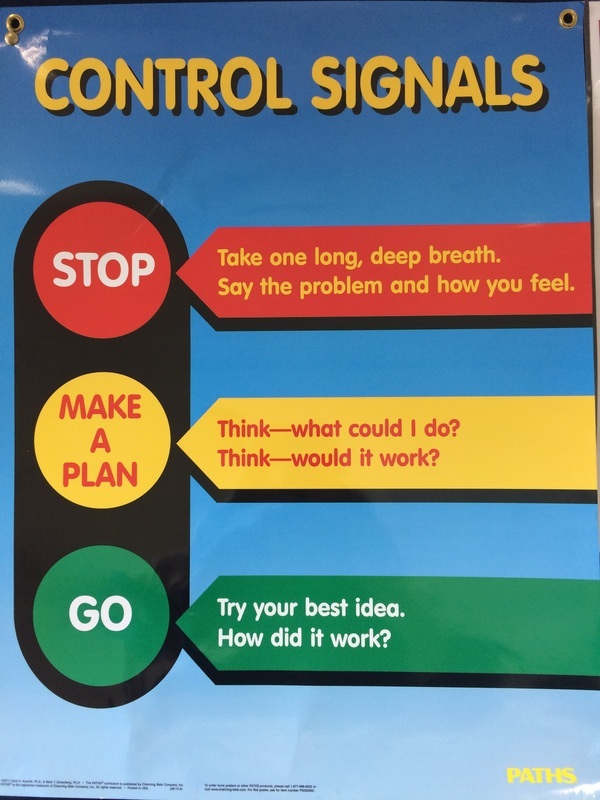 To deliver our PATHS material varied strategies were used to explore this work, and to develop critical thinking skills that would allow our students to be more independent. 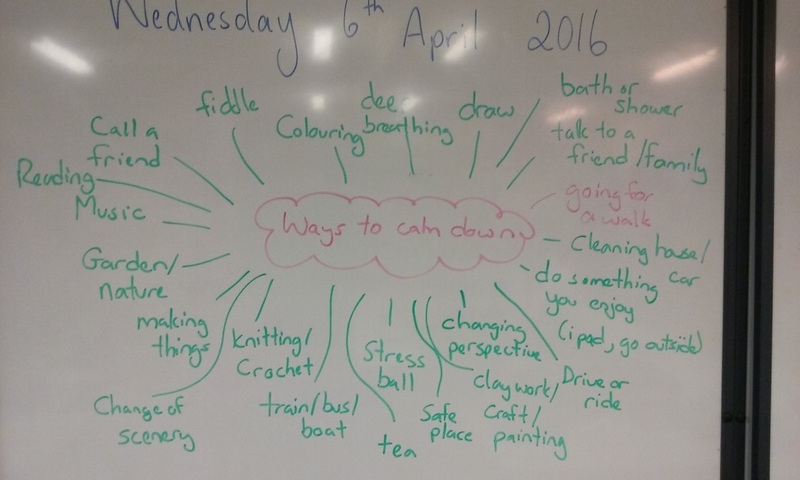 In conducting this learning we created discovery pages on ourselves as individuals, worked on some content in teams, wrote problem diaries and letters to imaginary problem solvers, and brainstormed lists of ideas on each topic, for example things we could do to calm down. 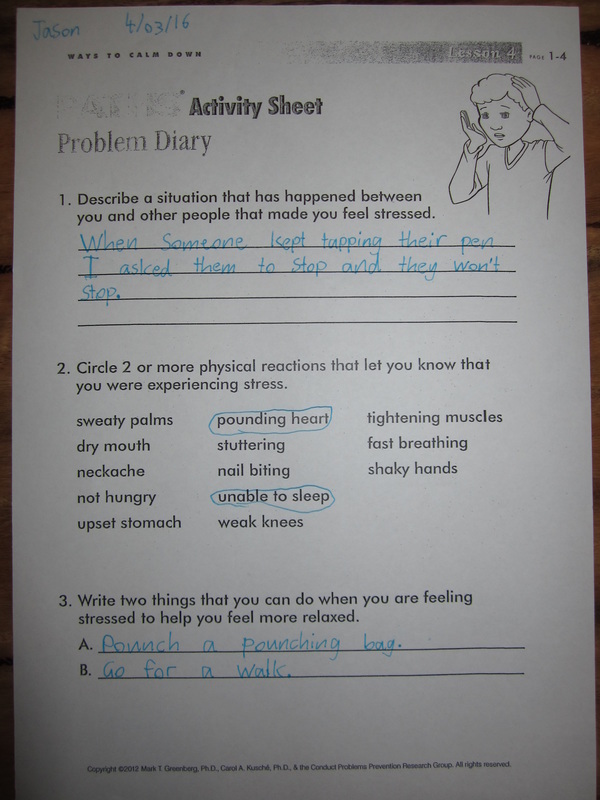 Similarly many methods were included in our bullying and character strengths programs to explore concepts, such as placemats, ICT based material and personalised strong spot envelopes for collecting compliments from each other. A significant strength of these programs has been the variation in the method of learning the material, which has kept it relevant and interesting. 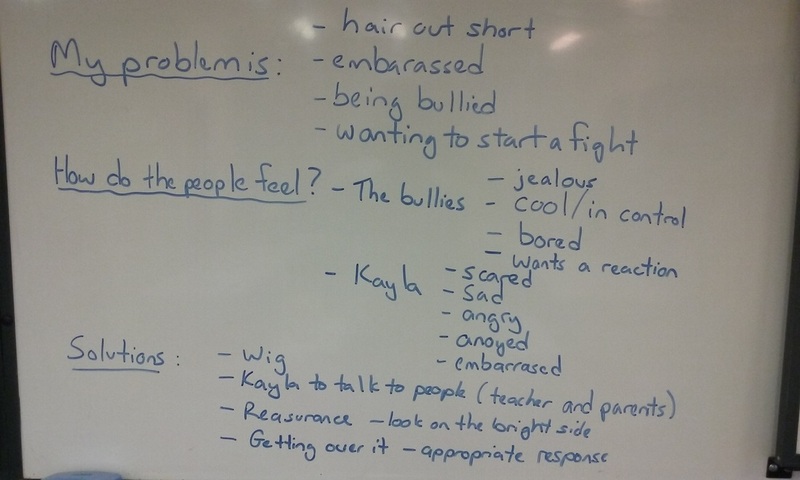 A key component of our bullying program was teaching on responsible use of ICT and other technologies, especially with regard to cyber bullying. This included practice on both the ethical usage of ICT, and strategies to respond to this issue. All of these programs aimed to equip our children with greater understanding and knowledge on this critical area, supply them with improved coping strategies and allow them time together to form more positive bonds. It is essential for our students in education support that their wellbeing and feeling of security is enhanced, especially for a select group, as many students have experienced trauma and disadvantage in their lives. As part of this role, I have regularly counselled students on their day to day difficulties, with sensitivity and always in confidence. A key way to boost self-esteem in these classes was to select one student and eventually teachers at the beginning of our lessons, who would receive a collection of genuine compliments from their peers.